I hope everyone had a wonderful Easter and or a happy Passover. It was a beautiful day here, so we took our celebration outdoors to the recently finished backyard, and threw a sheet over a table. Apparently the water in the bouquet was tasty, better than the fountain or the bowl,because the kitty drank the water while I placed it on the ground. We displayed the eggs my daughter colored on ikea candlesticks. 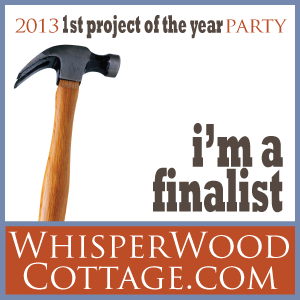 We hung the banner made last year with purchased homemade letters, and we clipped it with clothespins. This year my daughter tried some new sparkling colored dye that is applied with a paint brush, and the iridescence is pretty in the sun. There was just the three of us; everyone is out of town or they don't have their children today, so we set the table, and the ants, the flies, and the bees joined us. There were some yellow swallowtails too, but they moved too fast for a photo. Last summer, we loved our walks through the wild flower meadows of the Alps. This bouquet was made from lettuce, mint, broccoli flower, roses from the garden, and wildflowers from our miniature meadow. You might be wondering what is a miniature meadow? Back in December, I sowed wildflowers seeds into just one of the beds, because it only had lettuce, roses, and a few pansies. Only now is our miniature meadow is in full bloom, and the cat is interested, because there is a lizard in there. The meadow is just randomly pretty; there was no rhyme or reason to the way I planted it. Tonight there was a pretty sunset to go along with the flowers, and Legato ( AKA Blackie) awaits his dinner. My daughter took some of these photos too. How absolutely lovely your celebration looks. The meadow is very pretty - well done! Thank you. I'm so happy it bloomed! You work magic in the Arizona desert! What a romantic array of homemade food, decor and a mini meadow! 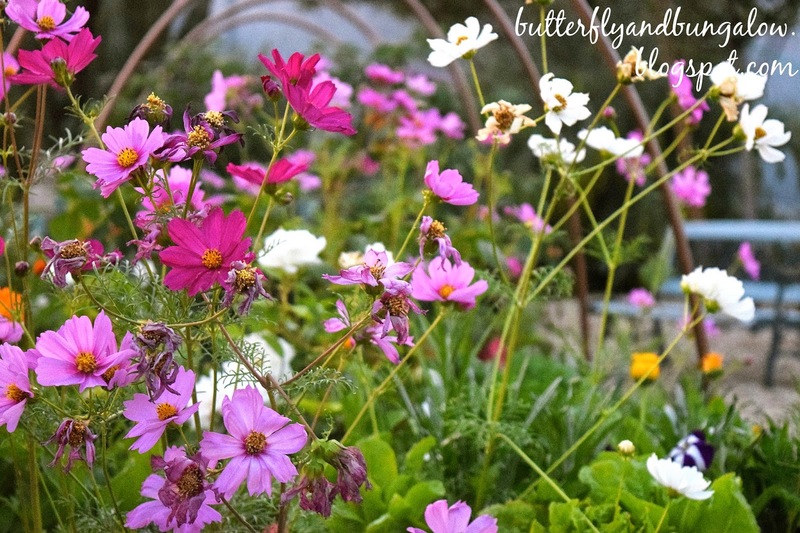 Just as wildflowers grow rampantly across the land, so did you plant your pretties, and they look magical, indeed! What a blessed day for you to have shared Easter in your garden, the meadow of floral beauty could not have welcomed a more graceful sight. 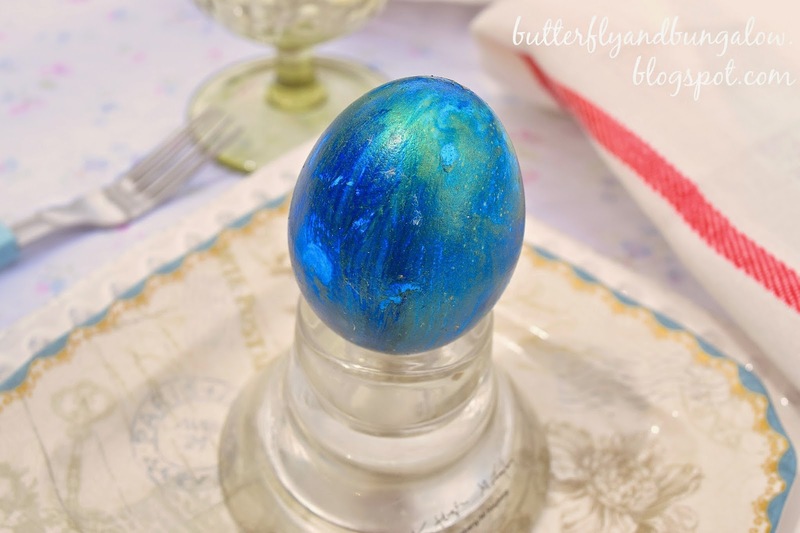 Your daughters iridescence eggs are beautiful, I guess I had no idea there was such an egg dying paint kit for such beauty, and you are right it fills the table with sparkle and glitz. The captured blood red view of the sunset was fitting would you not agree. Your banner is something I wish I had thought of as well. I never tire of your creative beauty, your garden beds and boxes that I am planning to copy, and the beauty of your creativity. Thank you my lovely for taking time to visit me, and joying my night with your beautifully encouraging comment. How nice that you were able to celebrate Easter in your beautiful garden. The table is laid so prettily. 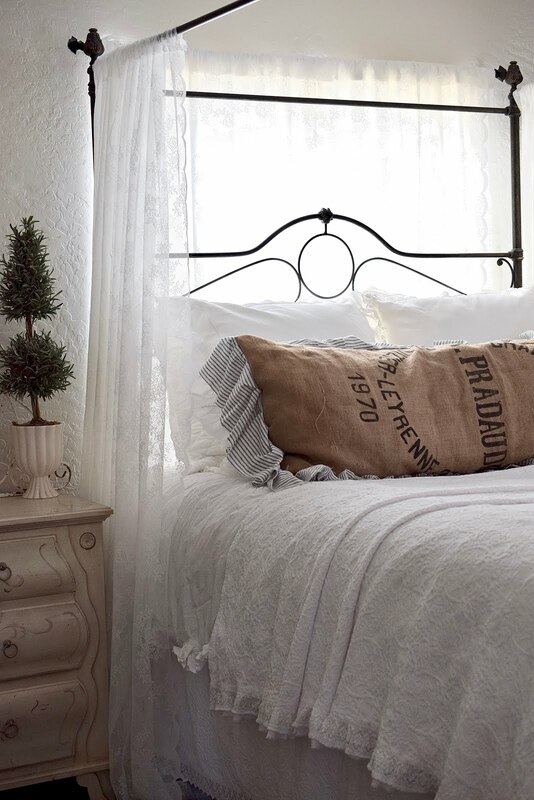 The beds look amazing. I love that they are brimming over with blooms, it has a real cottage garden feel. 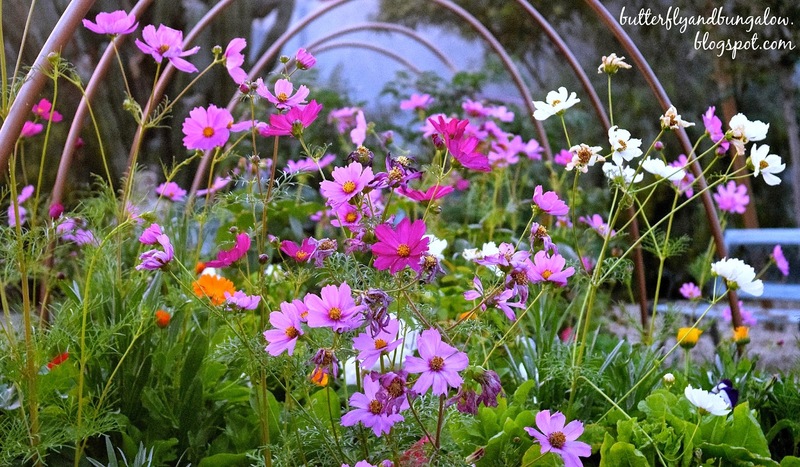 Lovely photos and your little wild flower collection is beautiful! Beautiful pictures. Hope you had the best Easter. So enjoyed a peek at your day. The table is lovely. I never would have thought to add lettuce to the flower arrangement and yet it looks so natural. I love those blooms. It's ironic that the flowers bloomed when you threw the seeds in with no particular plan. I'm glad you have a little wildflower meadow to remind you of the Alps. Lovely garden and table-Happy Easter! How pretty it all is Su! 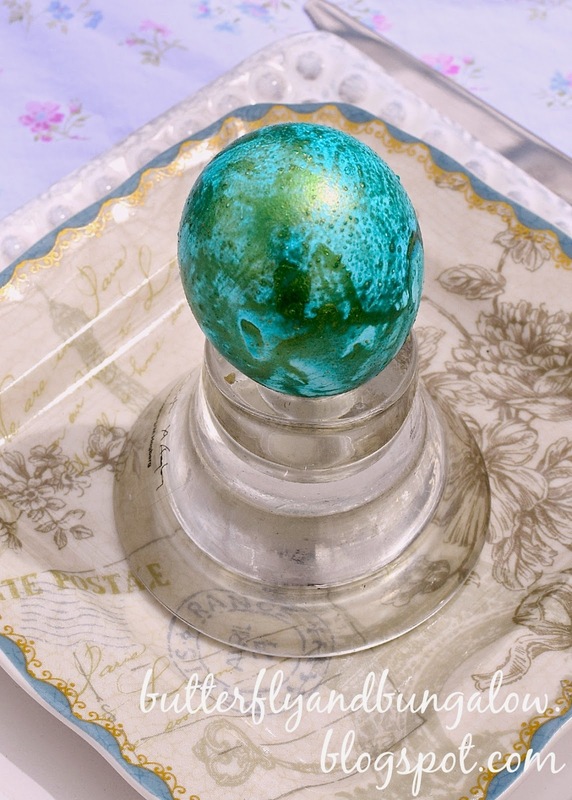 I love the eggs and I am so in love with your copper in the garden... Have a great day! What a beautiful outdoor table in your lovely garden. Those eggs are gorgeous! 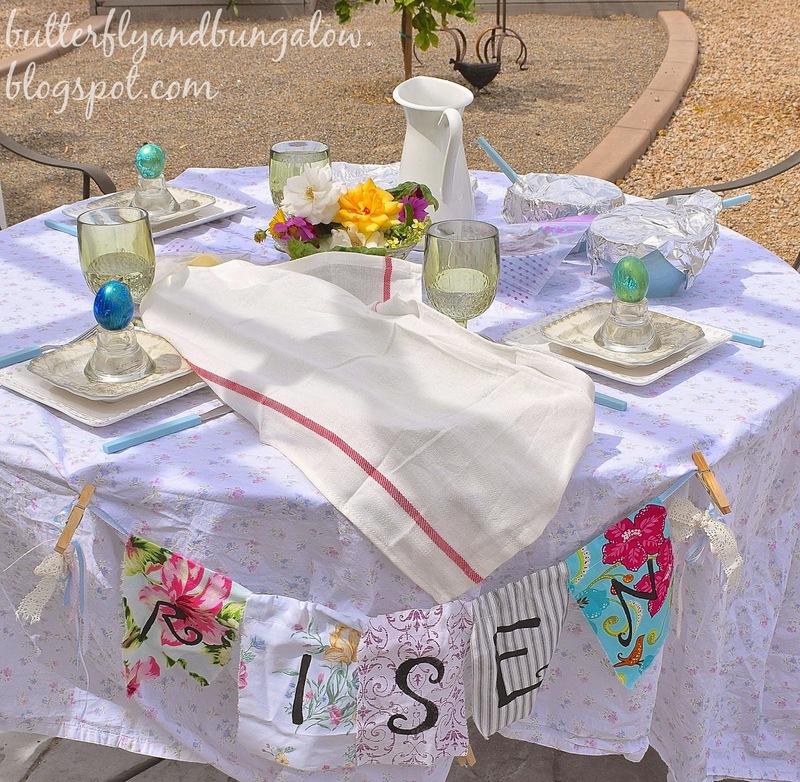 Just you 3 outdoors celebrating Easter in your gorgeous gardens with the beauty of the table setting seems like a perfectly enchanting day to build lasting memories around. Your daughters irresidence magical beauty in her eggs is breathtaking. Did she put a drop or two of oil into the water? I think she could blowout eggs and create her artistic colorations and sell them. I know I would purchase some! 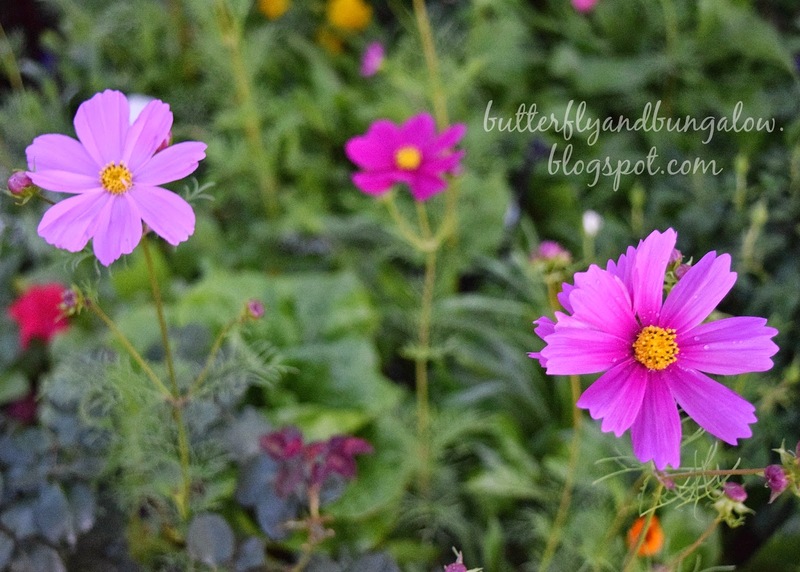 Your wildflowers are visually vivid and stunning - yes in your description - magical. Thank you, Vera. That is so sweet. Until you mentioned it, I hadn't noticed that she used her favorite colors. She use to paint a lot and used similar colors. Gorgeous and I love the sunset pic. How pretty. Glad you had a nice day all together. Hello sweet Su! Your photos are simply lovely and embrace Easter and Spring. 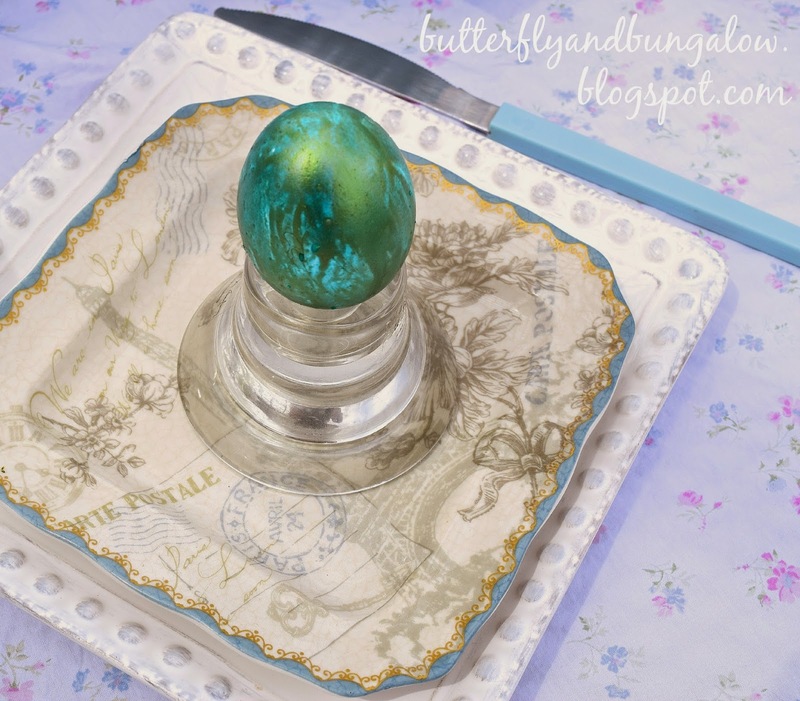 I just love the eggs your daughter colored and your tablescape is very pretty. Wishing you a wonderful week, my friend. Hugs! The table looks beautiful. Generally I have no regrets about living in an apartment, but I want your meadow -- a lot! Thank you, Carol. I think you could make one even more miniature in a window box, if you have a spot that gets enough sun. Patricia, I don't have a tutorial for those banners, but that is a good idea. It's not too difficult, and I've even just bought letters from a crafter even though I can make them, because I liked their material. I will try to find time to do it. I can back track. I tend to do things on inspiration, and not take out the camera. 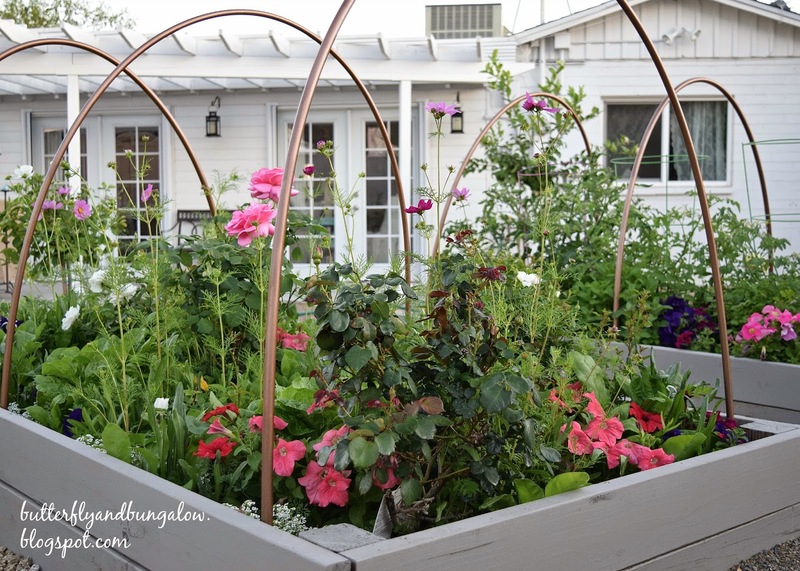 There is a tutorial or link to the garden beds. I used Sunset magazine's plan. They are very inexpensive to make, and it cost quite a bit less than their estimates, and we ended up making them all from redwood, after our attempt at the first. 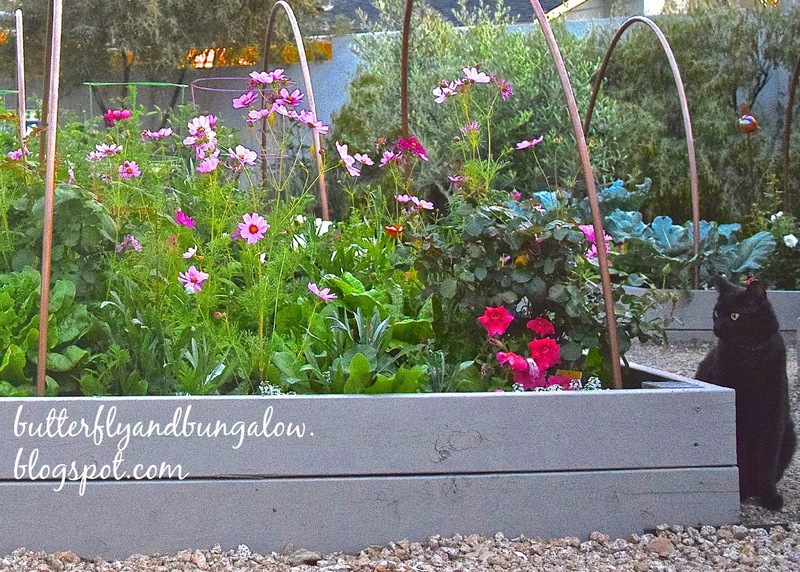 What a beautiful setting and those raised beds are GORGEOUS with all those random flowers in them. Love the banner and your table, too. We had a blessed Easter and it looks like your family did too. I love your banner, and will make myself one for next year. 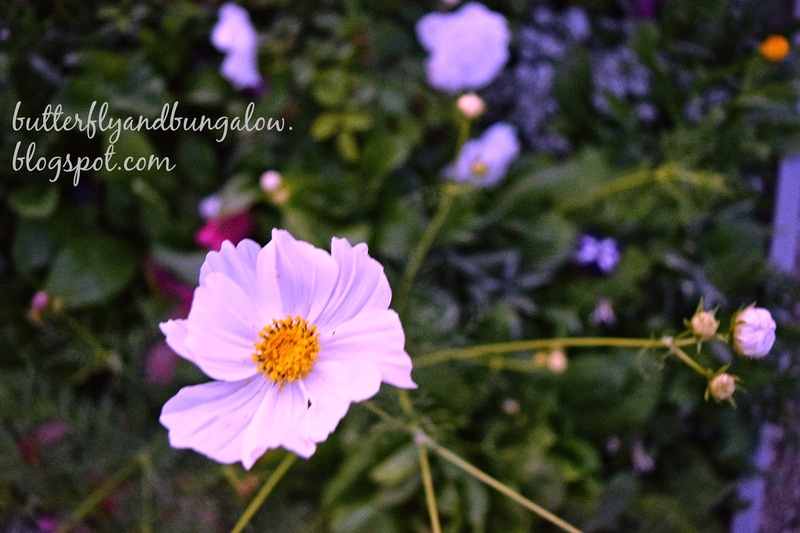 Your Cosmos are so pretty and are one of my favorite annuals, I can't believe they are that tall, my are only 1" tall, no flowers, such leaves, but flowers will come one day! Happy Easter Monday, we had a lovely and blessed Easter with those very dearest to our hearts! Your cosmos and backyard table and banner are delightfully magical and precious. Your little meadow looks amazing - I bet it feels fantastic to sit and just look at it! 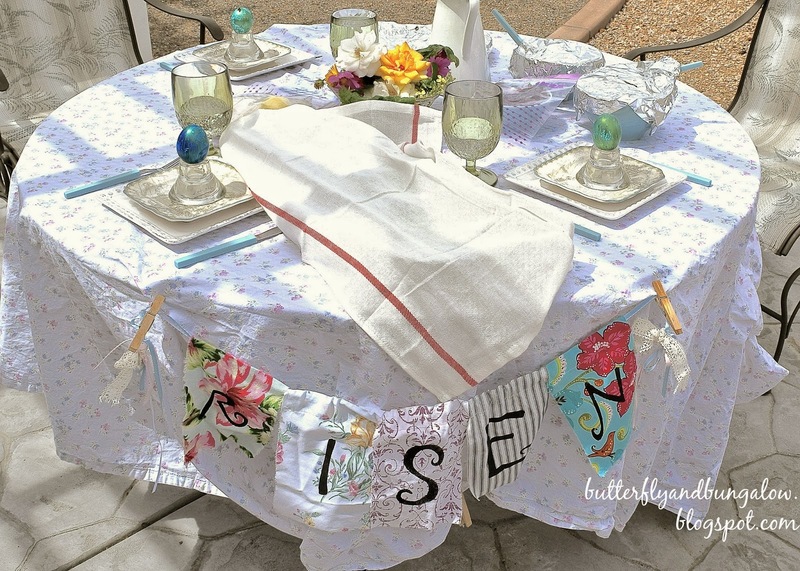 I also must mention the loveliness of the backyard table and the wonderful decorations! Thank you, Kerrie, for visiting. 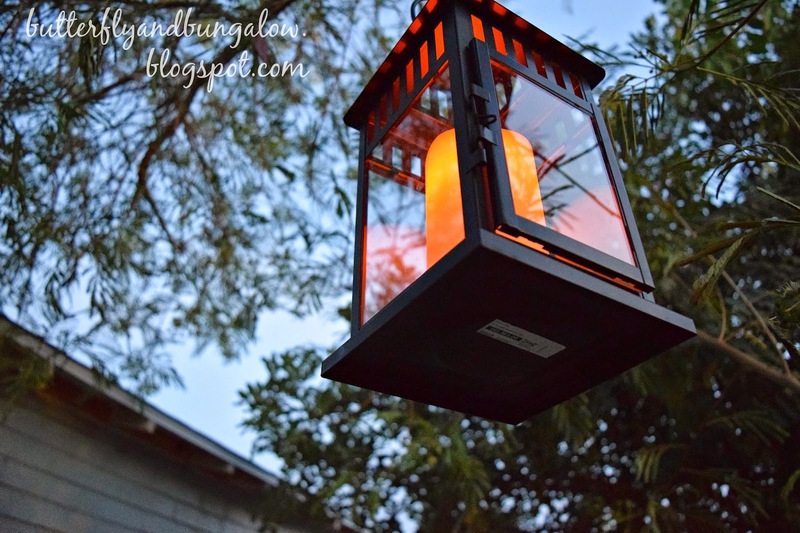 I enjoy simplicity, and I love finding things around the house and yard to use. It comes from being one of eleven siblings. I don't have a comment verification on here, but I've experienced some weird things on some other blogs lately. One blog I had to enter some numbers that I could barely read, and then it gave me a code that had to be copied and pasted into a box!! I keep plugging away, but it does take away the beauty and ease of visiting everyone. 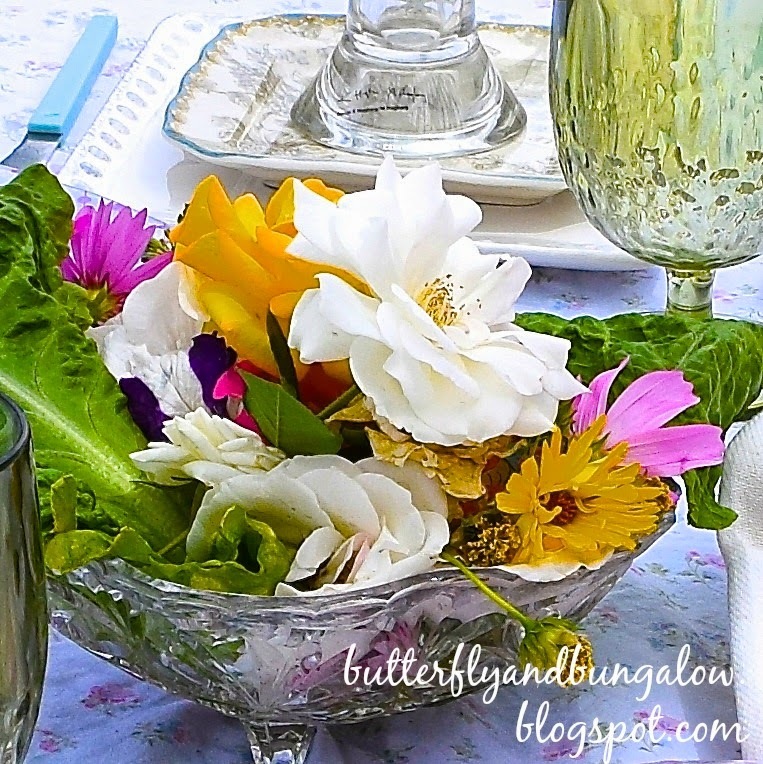 Your garden looks enchanting and your tablescape is great. I hope you had a great Easter. What a perfectly pretty setting for a holiday dinner! 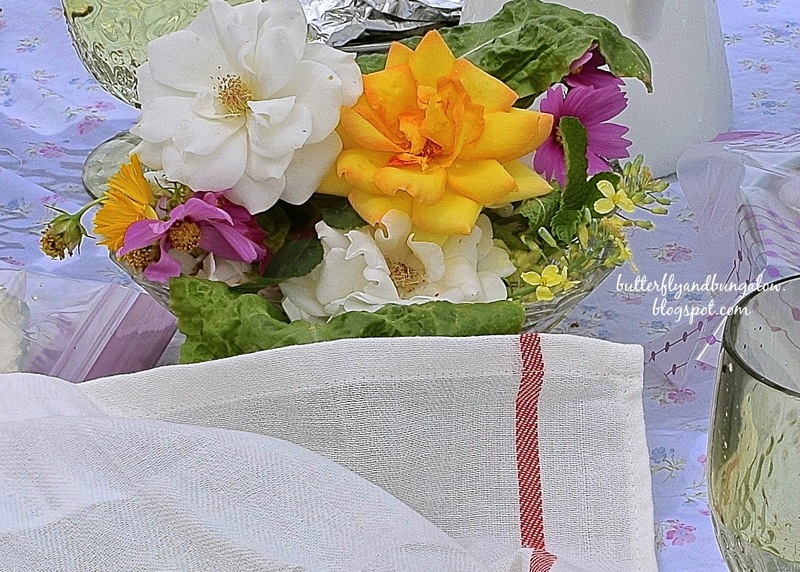 Your table is so pretty, as usual, you always have the most delicate touches. Your daughter's eggs are awesome! They are my favorite feature! Thank you, Kim. I think so too. Beautiful! I planted some of the same flowers last summer. Cosmos are a favorite of ours. I can not wait to start to garden. This looks so beautiful, relaxing and just lovely. Thank you, Carla. It really is fun to garden. Your little meadow is absolutely gorgeous! I love it when things turn out like that!!! Please make lots of pictures for us!! Your table is very festive and I absolutely love your wildflower garden! Thank you. It was a lot of fun and a surprise, because I didn't know if it would grow. Thank you, Deb. It was a fun to do and a surprise. I greatly appreciate you sharing your loveliness with Roses of Inspiration :) You are a joy, dear Su. Hugs! 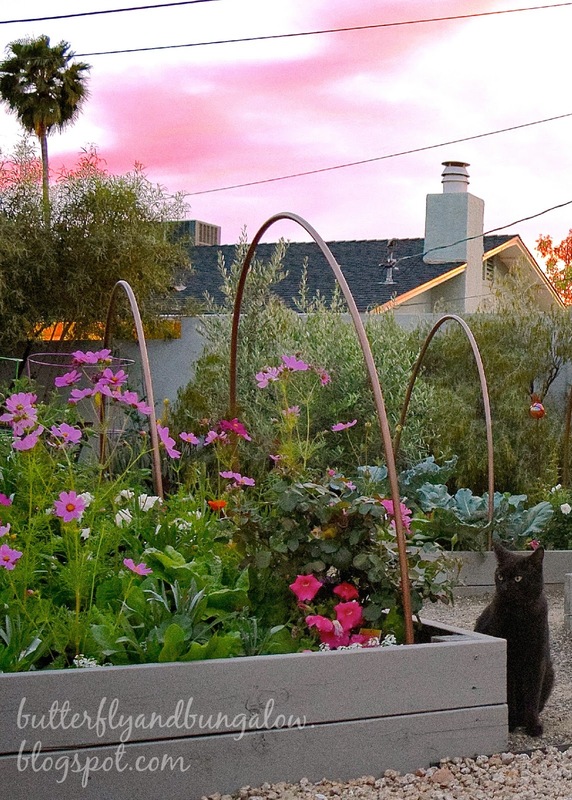 Your garden is as pretty as your home. Lovely!